2019 is here and it won't be long before the sailing season is upon us. But while we wait for the cold weather to abate we have our third BISMA Enews to keep you updated and entertained. In this edition we have a report from the AGM, an great update on 6 Metre activity at Demon Yachts in Suffolk which links directly to the latest in our regular series of articles from Ian Howlett. David Chivers brings us up to speed on measurement marks, we've a fantastic piece from Peter Kay on the history of Six Metre sails, and all the latest news from the ISMA Archive Project from Jenny. The 2019 programme is now available online and I can't wait to see you all back out on the water for what promises to be a terrific season. 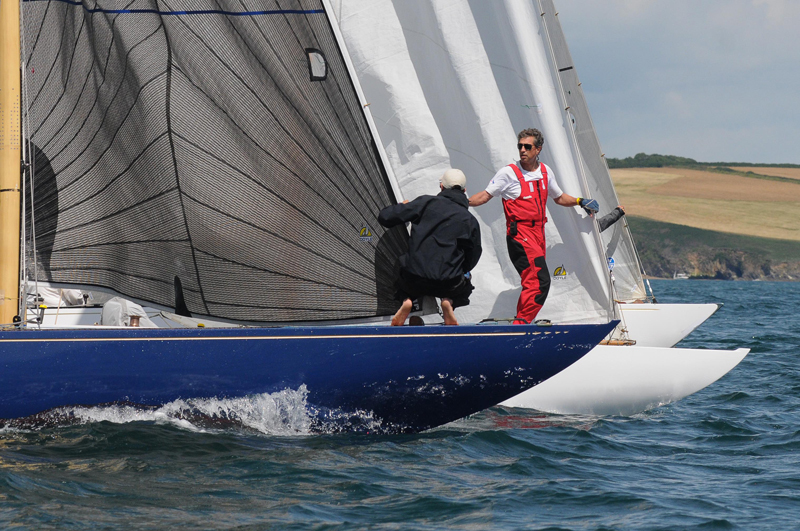 In particular it would be great to see a really great turnout for our two weekend Open British National Championship, which is being hosted once again by the Royal Yacht Squadron over the weekend of 8-9 and 22-23 June. 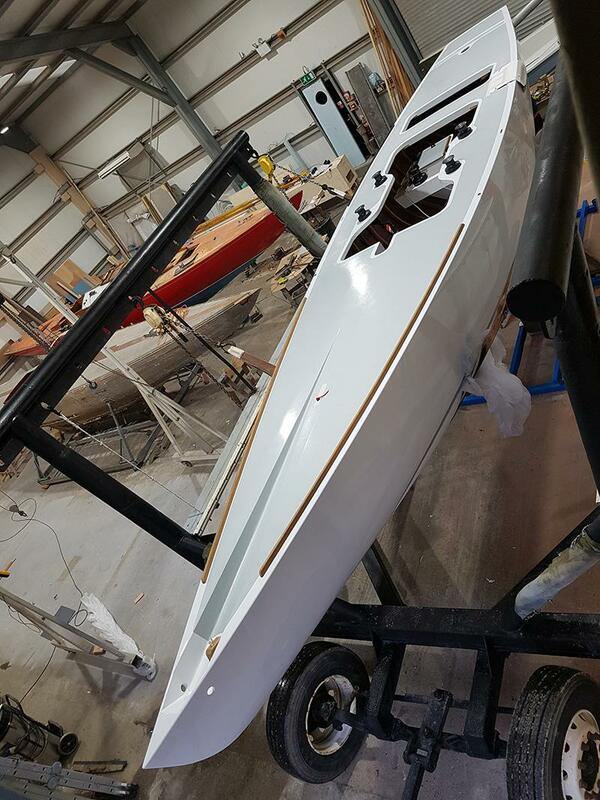 And I'm particularly excited to announce that we have a new British Modern 6 Metre owner in the shape of Bob Gatehouse who has purchased Bravade, and I hope to see other Moderns coming out to take on St Kitt's and Bravade this season! As always, please don't forget to send Enews Editor Fiona Brown your photos, videos and stories for inclusion in future editions of the Enews. This is your publication and we want to tell your stories. We are delighted to welcome Bob Gatehouse to the British Six Metre fleet. 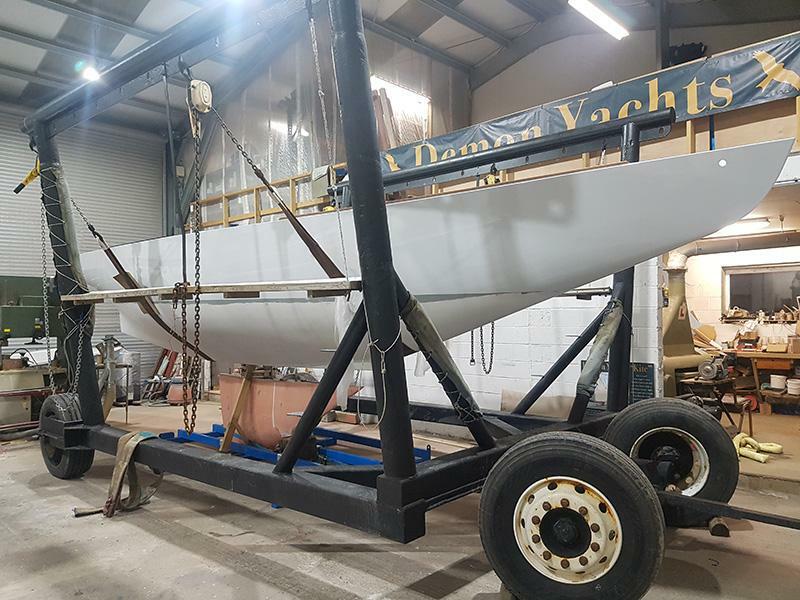 Bob is well known in sailing as the owner of the stunning 30 sq metre Erida (pictured right), which he restored in partnership with Lallows of Cowes and has recently been sold to the west country, and as a regular Daring sailor aboard Darling. Bob has purch ased the 1988 Peter Norlin designed Bravade, which was built by Zarrin & Jansson, and is looking forward to racing regularly with the Solent Fleet. to help boost finances against the 56% rise in ISMA dues and to support a bid for BISMA to host the 2023 World Championship. It was also agreed that all BISMA boats should be asked to submit a copy of their current 6mR measurement certificate with their subs to help support our current work with the RYA aimed at ensuring that all boats are fully up-to-date and rule compliant. The 2018 UK sailing season produced fabulous conditions & great sailing. Particular highlights were the Royal Yacht Squadron's two weekend 6mR British Open Championship and Panerai British Classic Week, both raced off Cowes. At the European Championship in La Trinite British boats did well with special mention going to St. Francis IX in the Modern Division and Erica in the Classics. 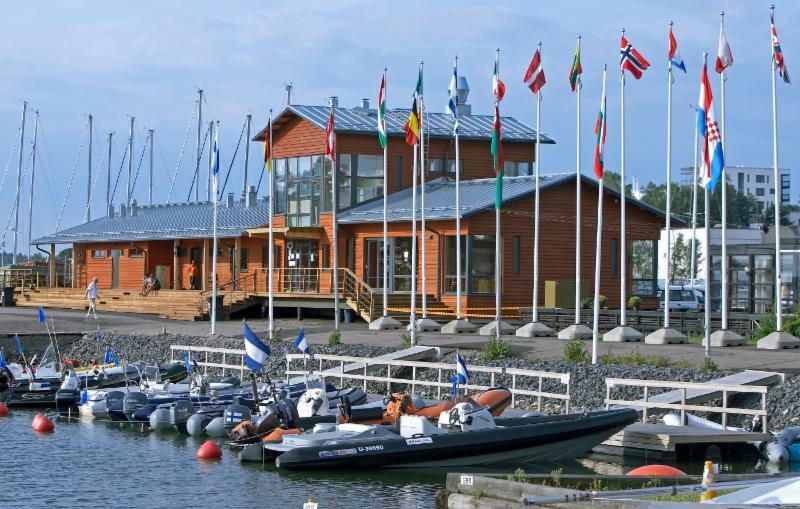 The 2019 Worlds are in August in Hanko, Finland and 5 or 6 British entries are expected to attend. The ISMA Spring meeting will take place at the New York Yacht Club on March 9th & 10th. World Sailing is to be approached again to see if the criteria can be changed for 6mR World Championships from length to displacement - this would lower the required entry level to retain World Championship status from 20 to 12 boats. Appendix A revisions are still being worked on. It was clear from the European Championship 2018 that there is huge variation within the Classic fleet on interpretation and enforcement of Appendix A and this must be addressed. Measurement & Certificates - ISMA is still intending to take control of this in-house. Archive project - Photographers Beken has now become involved and are very keen and excited to help out and have handed over three boxes of prints for archiving. It is hoped that the archive website will be online by Spring 2019. Basil Carmody has also sent in all his collection. 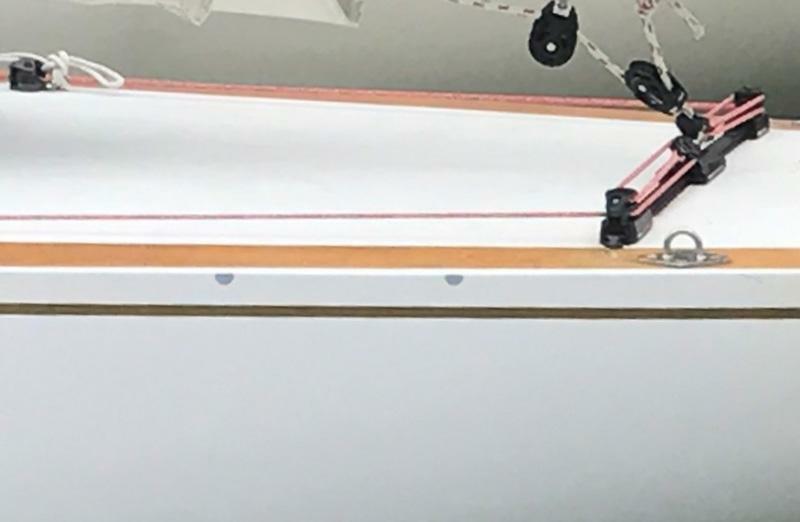 Corinthian spirit in the class - ISMA is exploring the possibility of several Corinthian only Cups to ensure balance with the increasingly high levels of professional crews and campaigns in both fleets. 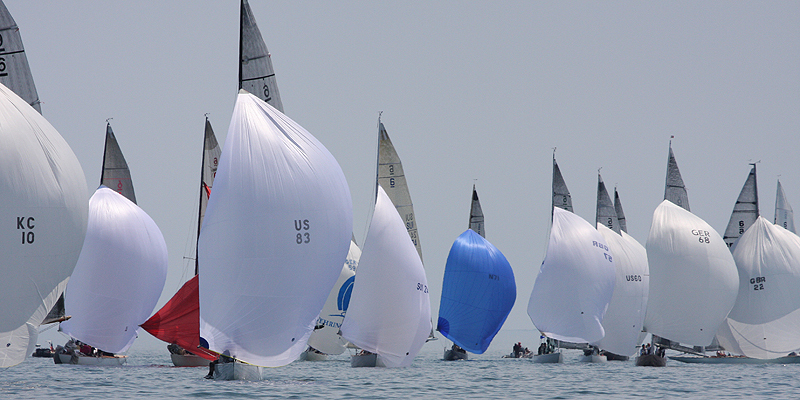 This has been done in both the Dragon & Melges 24 classes with considerable success. Robin Richardson mentioned that he would like to pass on the Chair at the end of 2019. The Spring BISMA Meeting will take place on Sunday 24 March 2019. Further details will be distributed by the Secretary in due course. The ISMA archive project is progressing well, with the website graphics being signed off just before Christmas. The project team are really pleased with how it looks, providing a clean and clear, easy to navigate site which will give users access to a constantly growing collection of archives. Since January the website developers have been working on building the “back end” of the site which will be launched later in the year (date to be confirmed). In the mean time ISMA’s archivist, Jenny Wittamore, has been working on developing the content of the site, from writing the text to scanning and cataloguing the virtual collection, and developing a master list of boats based on the detailed work of Basil Carmody and Tim Street. Eventually the website (www.6metrearchive.org) will give access to a wide range of archive material related to Six Metres from photographs and magazines articles to race results and certificates. If you would like more up to date information you can sign up to the archive newsletter here . Jenny is always interested in hearing from anyone with records to contribute to the archive. Please get in touch with her at archivist@6metrearchive.org if you have anything to share with the project. Since the Class’s inception, Sixes have been at the forefront of sail and rig development, as well as International Rule hull design. Early examples flew the latest versions of canvas sail technology. 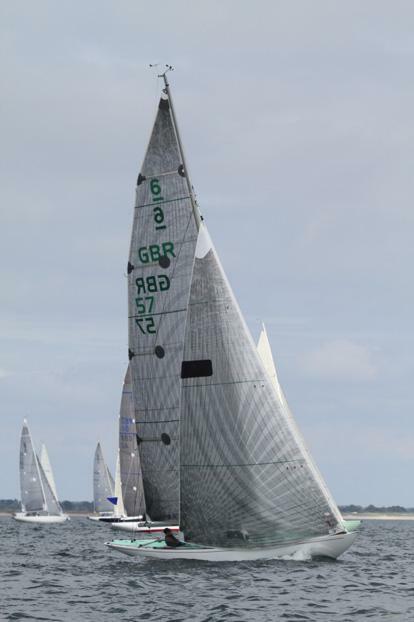 Using both mitre-cut and cross-cut panel layouts, sail designers aimed to minimise, or at least control, the inevitable distortion which was inherent in sails built from cotton and other textiles of the era. 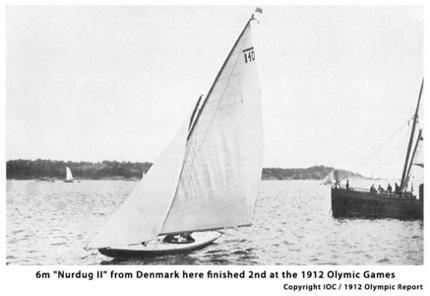 During the first half of the Twentieth Century, gaff rigs were replaced by Bermudan rigs, whilst innovators such as Sven Salen of Sweden have been credited with such innovations as the overlapping upwind genoa, and the sheeting of Parachute style spinnakers to leeward of the rig. As the century progressed, industrial textile manufacturers developed synthetic alternatives to natural fibres such as cotton and silk, which had hitherto been the material of choice for sailmakers. Terylene, Dacron, Nylon, all soon found their way into the world’s sail lofts, with sailcloth manufacturers vying to weave specialised fabrics which sought to keep sail shapes stable. Stronger polyester fibres, combined with refined weaving techniques, resulted in cloth which lent itself to ever more exotic panel layouts. Up until this point, sail “design”, had consisted of marking the outline of the sail out on the loft floor, filling the surface in with lengths of cloth, then using “empirical” methods, ie trial and error, to come up with whatever seam shaping was deemed to be beneficial. Shaping was used to mitigate the effect of cloth stretch, as much as directly induce an efficient aerofoil flying shape, but all this was about to change. 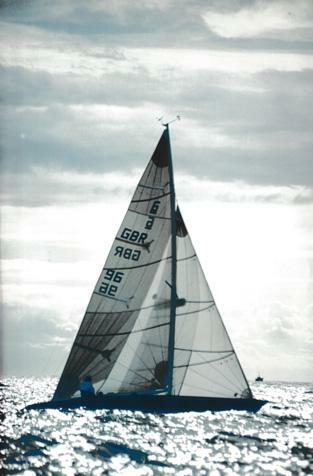 The early Eighties saw major developments in sailmaking coincide with the re-emergence of Six Metre racing in the UK. A young naval architect by the name of Ian Howlett drew first the 12 Metre “Lionheart”, (which challenged for the America’s Cup in 1980), followed the next year by the 6 Metre “Kirlo”, which immediately proved very competitive in the European Six fleet. Sails for both boats were initially Dacron, but with designs which were informed by computer aided calculations. In the days before the PC, such assets were quite unusual within the sailmaking industry, and it was my good fortune, as an undergraduate Ship Scientist, to get a holiday job in a small, start-up loft by the Hamble, which had access to such machines. (The company was North in its first year in Britain). With a little understanding of the basics of computer aided design, through sheer serendipity, I was able to embark on a career as a sail designer, with a very early “in” to the complexities of Metre Boat sail design in particular. Work on “Lionheart's" innovative “Bendy Top Rig” was followed by work on later Howlett Sixes, and so started a life long fascination with the Metre Boat, the Six Fleet in particular. But enough of the personal….. back in the early Eighties there was about to be a sea change in the way sails were built. The advent of laminates, initially combining plastic film with light woven polyester fabrics, went some way to controlling stretch in the skin of a sail. These new materials could be built so as to be “warp strong”, ie have their greatest strength along the bolt of cloth, which lent itself to a new interpretation of Vertical Cut sail designs. Almost as soon as polyester laminates were introduced, new high modulus fibres became available, which further reduced stretch in a sail’s structure. Combined with an ability to calculate seam shaping using 3 dimensional computer modelling, notably Tom Schnakenburg, developed very effective designs for the successful “Australia 3” 1983 America’s Cup challenge. 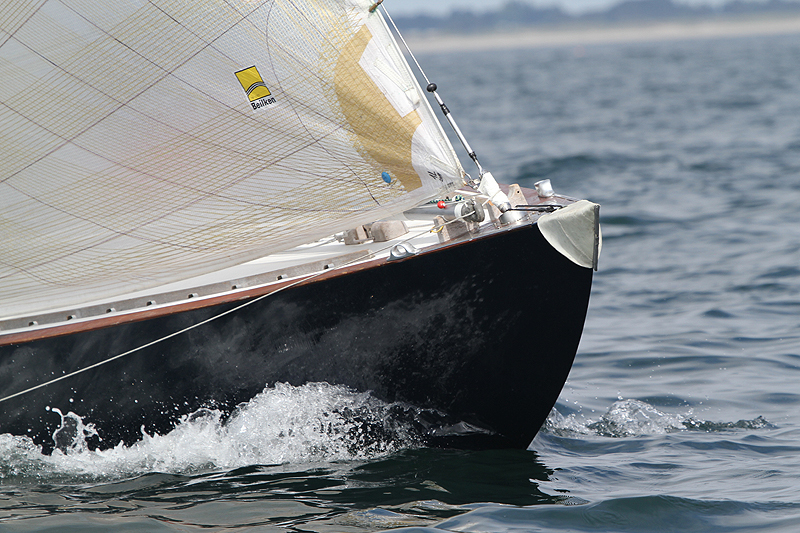 Such designs became common in the Six Metre fleet, and by the mid Eighties, fully radial designs were the state of the art, allowing sail designers to approximately align the strong Kevlar yarns in the laminate with the principle load lines in the sail. The ability to build a computer simulation of the air flow over a sail together with an analysis of the stresses and strains within the sail’s skin led to further refinement of sail designs so that rigs on the Modern Six Fleet by the end of the Eighties represented a distinct step forward from those used at the start of that decade. Towards the end of the Eighties, there came the next step-change in sail development, with the advent of the so called “Membrane” construction. Sailmaker Pete Conrad in the States came up with the idea of building the skin of the sail from the constituent parts, (mylar film, raw yarns, and adhesive), which meant that the structure of an individual sail could be tailored to suit the particular end-use. Fibre direction and density could be matched to each sail's wind range, resulting in a much better engineered sail skin. 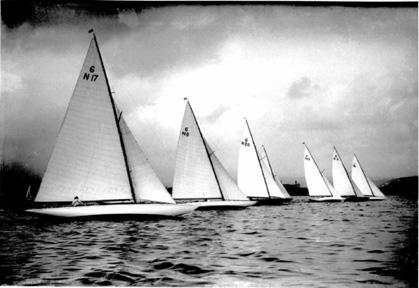 Taking the lamination process away from industrial textile companies and putting it in the hands of sailmakers themselves, led to an intense learning experience, with the consequence that during the Nineties, honours were shared between boats setting traditional radial panelled sails, and those taking up the new membrane technology exemplified by the North 3DL product. Initially durability was a key issue, but gradually techniques were refined and by the start of this century, various options were available offering individually laid fibre arrays glued between plastic sheets, laminated over 3 dimensional moulds, be they virtual or physical. In reality, the wind neither knows nor cares how a sail is constructed, it's the “flying shape”, round which the air is deflected which governs how efficient or otherwise a sail may be. Sail design is something of an iterative process, despite the use of computer aided simulation, and it's certainly true that Six Metre sail shapes have developed in parallel with construction techniques. 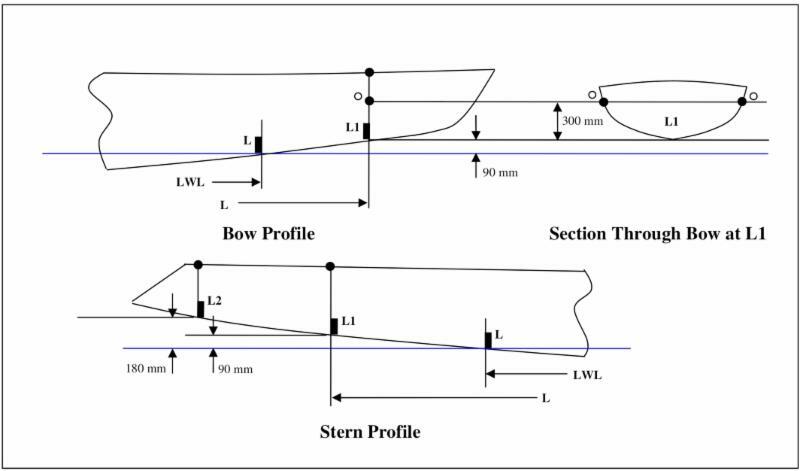 As hull shapes and keel configurations have evolved, so have the optimum sail shapes, and the close involvement of a number of sailmakers in the class has helped move the whole field forward. Coming up to date, the emergence of an enthusiastically supported Classic fleet, with a requirement for both high tech, and traditional sail inventories, has provided a welcome challenge to we sail designers, whilst development of those high tech options has stabilised somewhat with most sailmakers now able to offer some form of “Membrane” sail. 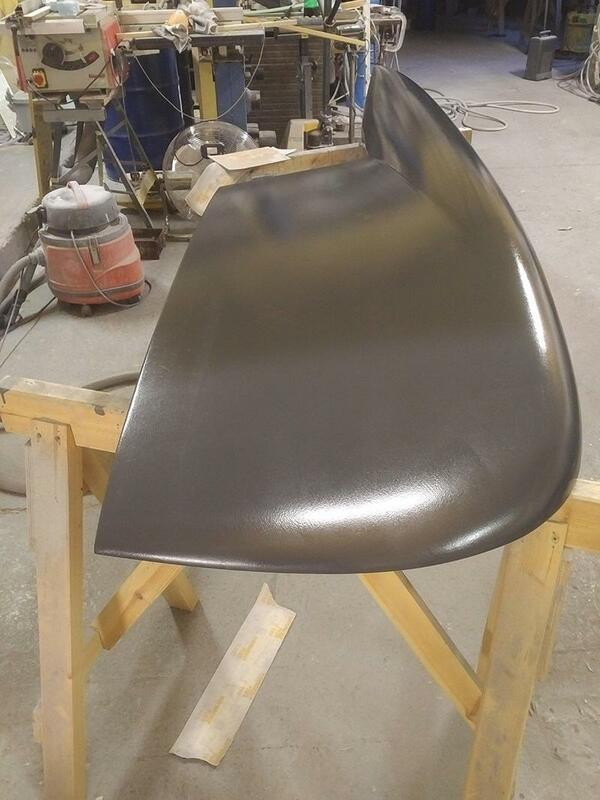 At the leading edge, development has focused on providing better durability, in particular, in the case of a few select brands, by the use of one piece composites, incorporating alternative fibres in place of the standard aramid and carbon offering. Fatigue in laminate sails usually first manifests itself through cracking and splitting in the mylar film layer, and a few proprietary offerings now do away with this film layer, replacing it with layers of high modulus polyethylene ribbon. All fascinating stuff, and with the continued popularity of Six Metre racing, I'm sure the future will see plenty more innovation in this most innovative of classes. About Peter Kay - Peter established Parker and Kay Sailmakers with John Parker in 1989 after a decade working as chief designer for North Sails (UK). Parker & Kay Sailmakers operated successfully as an independent loft for many years before helping found the Quantum Sail Design Group in Europe. 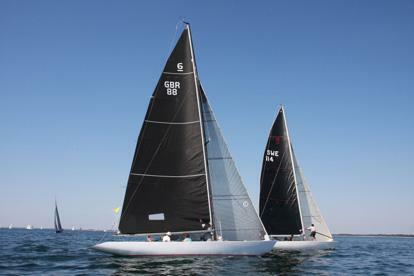 They have now joined the up-and-coming international sailmaking group OneSails. Having started out studying Ship Science at Southampton University, a holiday job morphed into a career in sail design which led to work with many interesting racing and cruising projects including numerous IOR, IMS and IRC champions and several One Design European and World championship winners. 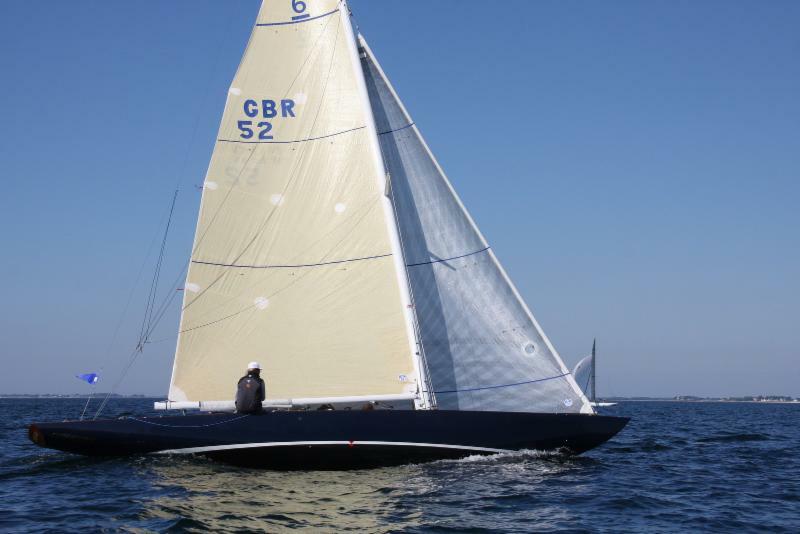 Peter's metre boat experience is extensive having raced and designed for Classic and Modern Sixes and Eights for 30 years, as well for three America’s Cup campaigns in Twelves. He has twice won the Six Metre European Championship. In the last article on certificates, we mentioned that there should be a full set of measurement marks on the boat. In this article we are going to look at these in more detail. It might appear a little complicated, but it is fundamental to the class. 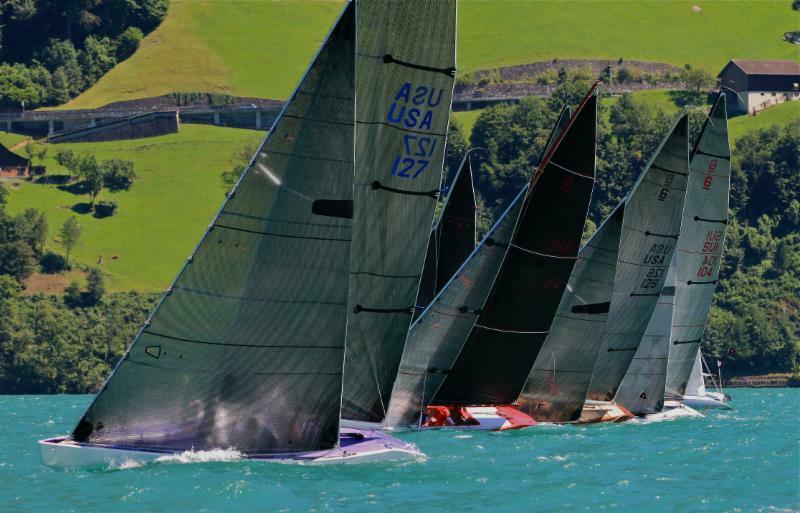 To reiterate a basic fact, any boat racing without a full set of measurement marks in the correct place is not in compliance with the class rule and is not entitled to race as an International Six Metre. If you do not have a full set of marks and current valid certificate, then you must resolve the issues before considering racing. The basic marks to start with are the waterline marks. 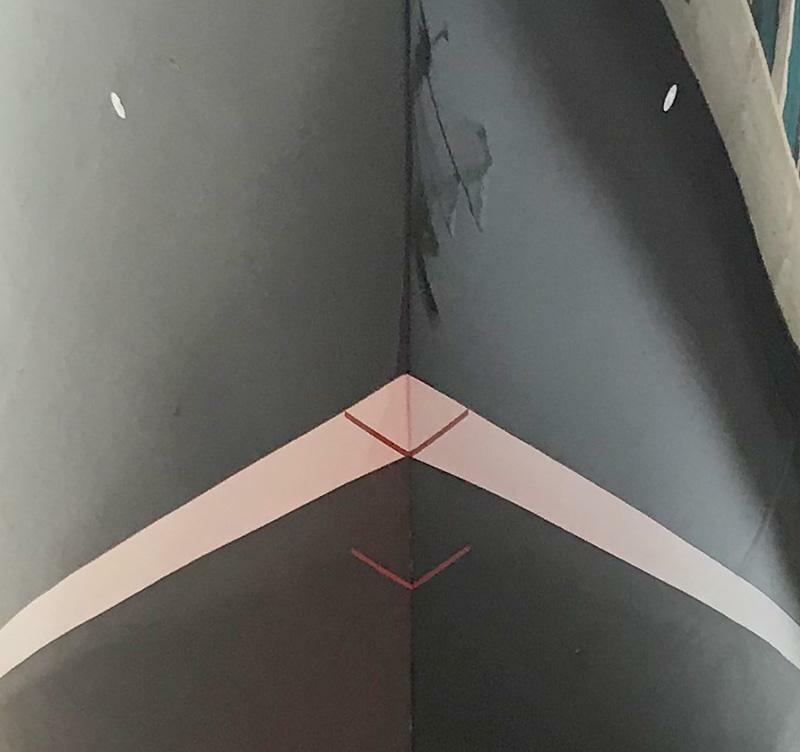 These consist of a 150mm x 12mm stripe placed across the centreline of the boat at the forward and aft waterline with the outer edges marking the exact point of the waterline. 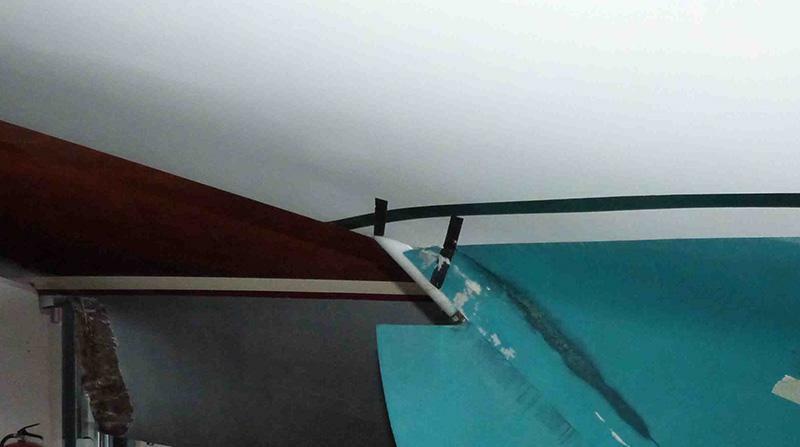 On modern Six Metres the aft end of the LWL (Length Waterline) is the centreline of the rudder stock and there is often an additional horizontal mark on the rudder top to show the LWL height. Classic designs usually have the LWL mark on the hull aft of the rudder. There is then one isosceles triangle (50mm in the vertical plane, 100mm in the horizontal plane) placed either side at the 55% station. This is 55% of the LWL measured from the fore end of the LWL and the lower point of the triangle is on the waterline. 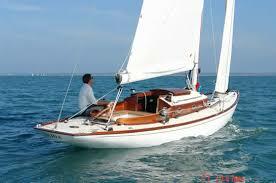 Ideally the boat should be in salt water and must be in measurement trim as per Class Rule 22. 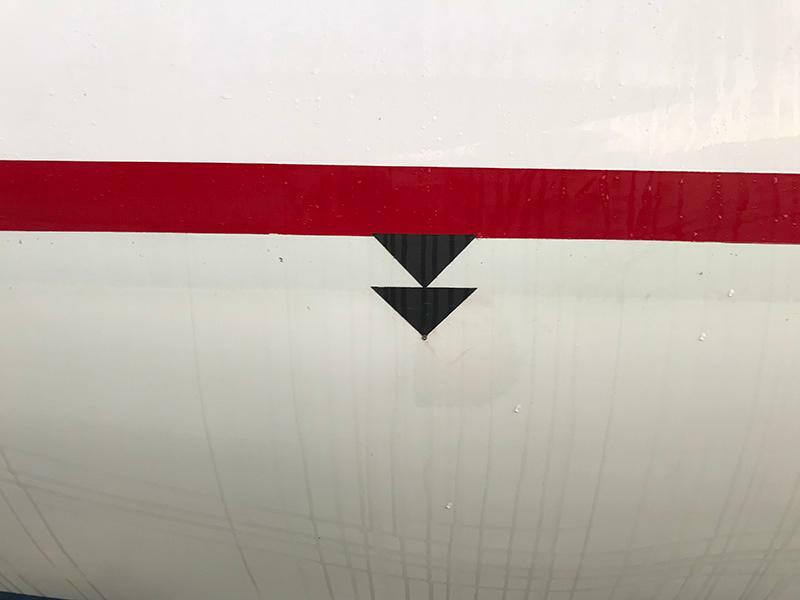 The boat must float exactly on these four points. There is no tolerance (we will come back to classics in a while) and no allowance. 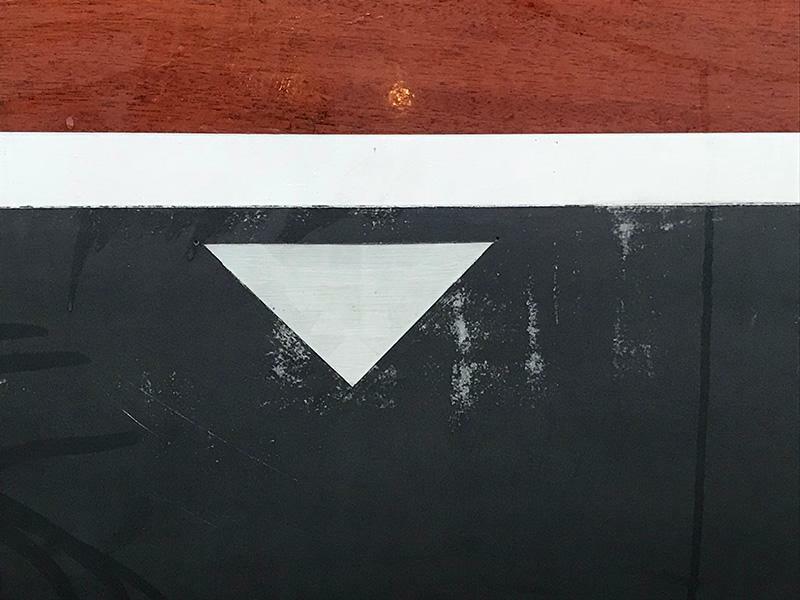 The other use of the triangles is that as stated in rule 20, the top of the triangle shall not be immersed when the yacht is on a level keel in racing trim with all persons and additional equipment on board. Both the waterline and racing trim can and should be checked regularly and can of course be checked by competitors as long as the marks are present! Finally, at the 55% station, there shall be a 20mm circle on the sheerline (d) and at 750mm below the LWL (d1). This position is used to calculate the difference between skin girths and chain grits as part of the rating. It is sensible to ensure that all the mark positions are confirmed with a small screw, pin or dimple so that the actual position is never lost. 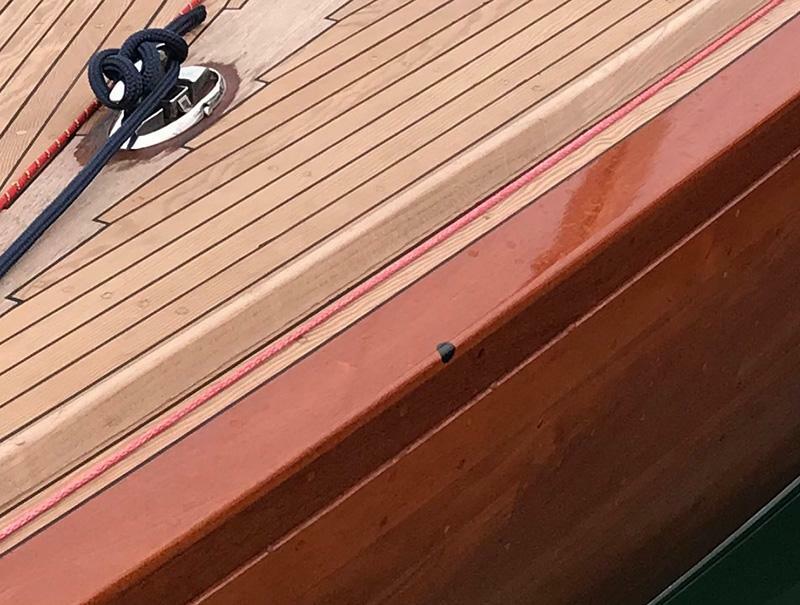 For classic yachts that have not been rebuilt there is an allowance of an extra 50mm immersion to deal with age and water ingress, etc (note - major rebuilds do not qualify for an extra allowance). A second triangle is added vertically above the first and the lower point of this triangle must never be immersed. A classic must however still carry all the other marks (excluding “L2”) in the correct place from a previous certificate, drawings or plans. In this quiet time of the year, please check to see that all the marks are present before the new season starts. 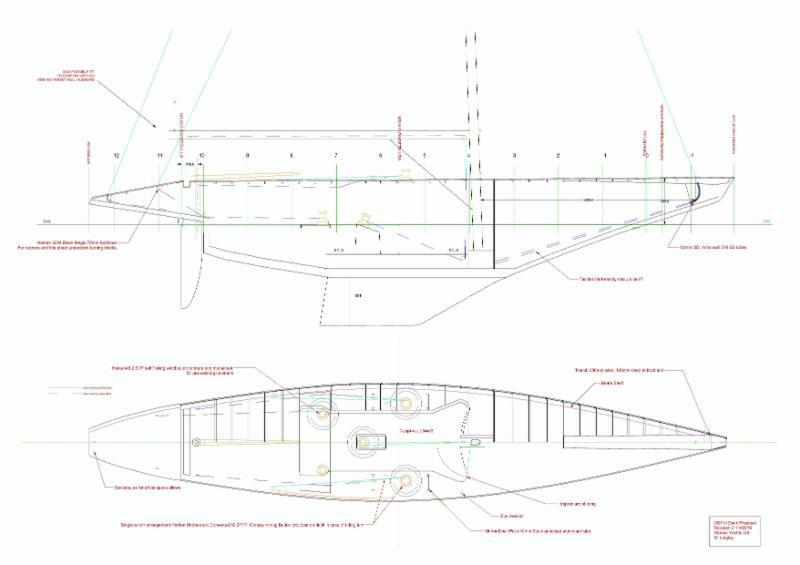 Full details and further diagrams are available in the Six Metre class rules at www.sailing.org. The 2019 BISMA Sailing Programme is now confirmed and online at www.6mr.org.uk so make sure you have the dates in the diary and do please join us for as many events as you can. We have been quite busy with Six Metre work over the past year, with two ongoing restorations and making various parts for other boats. Razzle Dazzle should need little introduction to long time British Six Metre sailors as she was Tim Street’s boat for some years. Going further back in her past she was famed as the most travelled Six. She has been a bit of a slow burning project with us, having been ongoing when we took over the Aldeburgh Boat Yard a little over two years ago. This last year however we really got a chance to get our teeth into her. We replaced a number of floors and frame ends in her, then rolled her over and epoxy sheathed her on the outside, followed by fairing. The sheathing puts an enormous amount of stiffness into the hull. We then sealed the inside of the hull with many coats of epoxy sealer, followed by polyurethane varnish so from inside you can still see she is a wooden boat. We completely replaced her deck framing, fitted two deep ringframes/bulkheads at the mast, and fitted a new ply deck, epoxy glass sheathed also. Her keel is now back on her, with a new rudder. New Harken fit-out mixed with some lightly used Barient under-deck winches, and a mast roller system with matching chainplates completes fit out. Sadly she will not be joining the British fleet but we really hope she gets to go to a world championships to race for the Nelson Trophy, she should be a brilliant competitor to US 114 Scallywag that we restored as a Nelson's Trophy boat two years ago and put many much younger boats to shame at the 2017 Worlds! 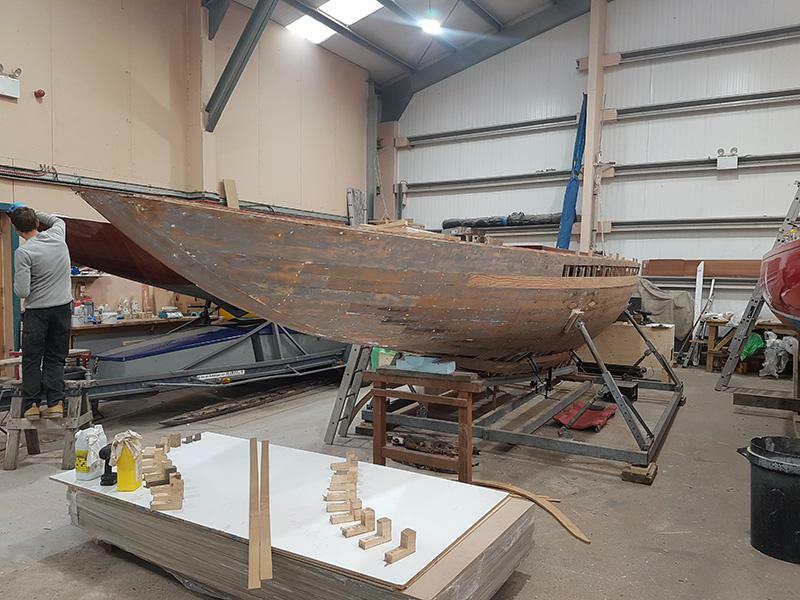 Another rebuild project we have ongoing is 'Jo' an Anker design from 1920, an Olympic gold medal winner and one of the very first boats built to the second rule. This is another boat with a Tim Street connection as she was tracked down to a field in Pin Mill by him in the 90's. Peter Wilson rescued her from there, and a partial restoration followed that stalled before completion. She now has a German owner who is hoping to have her sailing for her 100th birthday next year. She will be a very pretty boat and fantastic in light airs with her short waterline, light displacement and large sail area. We have also been busy with parts for Modern sixes. 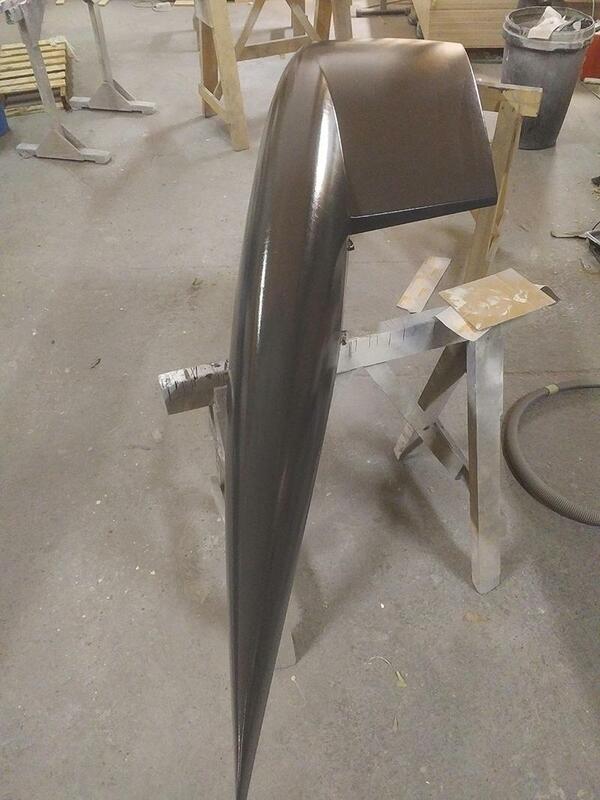 We made a new mould recently for Ian Howlett's latest full draft rudder design. The rudders we make are all carbon, very stiff, down to class weight and fitted with Jeffa Bearings, and a number of boats are now sailing with these rudders. In Tim Street’s new book ‘ The Magnificent Sixes ’ (which is a most remarkable achievement ! ) Tim expresses (page 156) surprise at the remarkable performance of the Gary Mull designed ‘Scallywag’ US114 at the Vancouver World Cup in 2017. It should be noted however that the simple term ‘Restoration’ does not really do justice to the extensive modifications that were designed for and carried out on US114 in order to improve her performance…..hence justify the cost of the works. The mast was moved aft by some 400mm. The boat was given a deeper rudder with decent bearings. The trim tab was eliminated. It was fitted with an effective mast raking system. The tiller was connected directly to the rudder stock. Prior to the moving of the mast, the rudder was linked to the tiller via a complex set up of push/pull tubes which inevitably made the steering less than precise. Structurally the boat was also brought properly into line with the Scantling Rules ! I was very fortunate in having, in my archives, a set of plans for Dieter Grunau’s ‘Courage V’ ex ‘Ayesha’ which was a sistership to US114. These made the key decision making (in cooperation with Greg Stewart) comparatively straightforward. The boat was made strong, stiff and inert to suit her future life. The works were carried out to a very high standard. The work being carried out on ‘Razzle Dazzle’ for Rainer Muller is even more extensive in is scope as the adaption of a heavy Six to rate properly at a significantly reduced weight (and also look good) can be quite a challenge. Don't forget that the International Six Metre World Championship 2019 will take place in Hanko in Finland from 2 to 9 August. I hope that you all had a good Christmas and New Year. Thank you for your continued interest in and support for the class during the last year. Now it is the time of year that we start to turn our attentions to preparations for the 2019 sailing season. If you paid your subscriptions last year, then you will have received a request for your 2019 dues from me by now. If not please follow this link to the membership form for 2019…..
Those of you that attended the AGM in November will know that the class voted to slightly increase the subscriptions for 2019; Full Members to £275, Co-Owners or non Commissioned or second 6mR yacht to £55 and Associates to £35 per annum. Please do let me have your subs in good time so that I can pay our British subs to ISMA on time. In addition the more full members we have in the UK fleet, the more votes we have for ISMA business, so please encourage anyone you know to either start racing their 6mR and/or pay their dues to BISMA. I wish you all a successful and enjoyable season of racing in 2019. If you do not wish to continue receiving the BISMA Enews please click the Unsubscribe Link at the very bottom of this email and follow the instructions to remove your email address permanently from the distribution.